After several decades of historical revisionism, Winston Churchill remains one of the most controversial figures in modern history. This book sets out to correct the historical record in a stimulating collection of essays. Arranged in chronological order to show his life in the context of 20th century world history, these essays are both detailed and analytical while still highly accessible to a general audience. The author believes that Churchill deserves to be remembered as much for his domestic policy as his wartime achievements. Of particular interest is an evaluation of his role in introducing old age pensions and unemployment benefits for the very poorest in Edwardian Britain. This, some historians argue, made the difference between revolution and evolution at the end of the First World War. A special section examines his political philosophy, which is revealed to be more consistent than many imagine. This article was originally printed in ‘Land and Liberty’, published by the Henry George Foundation. John Stewart is the author of three political novels: Prime Minister, Visitors, and The President, in which he explores the contemporary relevance of Land Value Taxation. He has also written a biography of Andrew MacLaren MP, Standing for Justice. ...the Land Value duties – a duty of 20 % on the unearned increment of land value, to be paid whenever land changed hands, and also a duty of a halfpenny in the £ on the capital value of undeveloped land and minerals. Both imperial and local indicates an Empire wide application, but war came in August. No wonder Geoffrey Lee subtitled his book An Edwardian Tragedy. So far Henry George has not been mentioned, and this silence, as it were, is reflected in the major Churchill biographies – King George, Lloyd George, but no Henry! However, having listened to Andrew MacLaren describe Edwardian Glasgow, this was certainly not the case on the ground. Marxist anti-capitalist dogma was prevalent; soak-the-rich was an easy sell on the doorstep. Marx, of course, was running strong, but so was Henry George, and the Liberal Party took his reasoned message up. The debate in Glasgow was passionate. There was good cause. Some years earlier John Bright referred to the 1881 census, noting with dismay that about 30% of families in Scotland lived in one room, and 40% in two rooms. (4) It’s little wonder that soak-the-rich was popular. Churchill was a child of Blenheim, born into privilege, and at the other end of the spectrum, as it were. Yet he was advocating a measure that would deprive the privileged of their nest egg. It was not surprising that some viewed him as an Alcibiades. Did Churchill read Henry George? Here are two sources that say he did: Andrew MacLaren and Josiah Wedgwood. Andrew MacLaren told the story, that when at 11 Tothill Street, London SW1, the HQ of the United Committee for Land Value Taxation, they received a request form Churchill for a copy of Progress and Poverty. In due course the book was returned, but with certain passages underlined in pencil. This story MacLaren told more than once. He was not close to Churchill, but neither was he distant. They both shared the secret, as it were, the secret of the primary significance of Henry George’s teaching. This may be considered fanciful, yet the feeling lingers. Later in 1931 when Snowden’s budget, containing Land Value clauses, was actually passed, MacLaren rose to speak. The extract is from Hansard (6th May 1931). I thank the House for the patience and tolerance they have shown for one who feels deeply on this matter. I only wish the Right Hon. Member for Epping [Mr Churchill] had been in his place, because I would have liked to bring before his notice a little classic, which I am sure he would have liked to hear when I brought it to his memory. The right hon. Gentlemen is a master of language, of simile and of dexterous, flashing, brilliant eloquence… As a master of language, I will quote his words. This is what he said at Drury Lane Theatre on 20th April 1907. [Hon. Members: ‘Oh!’] Yes. The Churchillian mind goes like the hands of a clock ever moving from point to point…this is what he said: We have to face all the resources of a great monopoly so ancient that it has become almost venerable. We have against us all the money power. We have to deal the apathy and levity of all sections of the public. We have against us the political machinery of class and privilege represented by the Second Chamber in the State. There are only two ways in which people can acquire wealth. There is production and there is plunder. From this it seems only reasonable to assume that Churchill had imbued the teaching of Henry George, not only as a surface thing, but in its essence. The second source, already indicated, is that of Josiah Wedgwood. At that time Churchill and he were in the same party. In his memoirs Wedgwood recalls the following incident in the Commons: ‘He stopped me behind the Speakers Chair one day with “Jos., I’ve been reading Henry George, and I must say I can see no answer to him.” ‘At last! With fervour I thanked God and passed on.’ (5) His elation was checked, though, when he heard that Churchill had been using the passing interview as one of his best funny stories in the smoking room. But, of course, the Churchillian wit was rarely idle. Josiah Wedgwood’s book was titled Memoirs of a Fighting Life. It includes a forward by Churchill the date of which is 20th October 1940. War was raging, yet the busy premier took the time to pen a forward for his friend. Here is the text in full. Were I asked for the best evidence of the virtues of our democracy I would cite the whole political life of my old and gallant friend, Jos. Wedgwood. Had he achieved nothing more than the example he has set us of unselfish courage and constancy in the support of what he deemed the honour and interest of his fellow-countrymen, it would be enough. But the distressed of the whole world have learnt to look to him, and through him to Parliament, for the patient hearing and the redress of wrongs. There have been occasions when he and I have differed; but I never doubted his single-minded pursuit of truth and justice. During the inter-war years Churchill was silent on the issue of land reform. He neither supported nor attacked the 1931 proposals. But then, in many ways he was in the political wilderness, something he maintains himself. (9) His energies were to focus on the future of India and the growing menace of Hitler. Only economic justice could deliver such a vision, but while the ‘mother of all other forms of monopoly’ is in place, such a vision will be doomed to fade. Churchill was magnanimous. Anyone who has read Great Contemporaries, (13) essays on the great men of his time, cannot but agree. On the 11th of the 11th 1918, Churchill was invited to dine with Lloyd George at Downing Street; the only other guests were F.E. Smith, the future Lord Birkenhead, and Field Marshall Sir Henry Wilson the C.I.G.C. (14). At some stage in the evening Churchill and Lloyd George were alone together. Churchill writes of this in The World Crisis – The Aftermath: (15) My own mood was divided between anxiety for the future and the desire to help the fallen foe. The conversation ran on the great qualities of the German people, on the tremendous fight they had made against three-quarters of the world. Churchill continues about the impossibility of rebuilding Europe without their help. At that time it was thought they were actually starving, and he feared the danger of the Bolshevik influence. Pending further news, Churchill suggested rushing in a dozen great ships crammed with provisions into Hamburg… The Prime Minister balanced the project with favouring eye. Yet nothing happened, and other sentiments soon prevailed. After the carnage of the war, the magnanimity of this conversation is striking. A generation had been lost and the resulting trauma was felt in every corner of the Kingdom. Andrew MacLaren, who lived through this time, often stressed how the war had shattered the continuity of thought. And so the land reform of the Asquith administration was quietly forgotten, except for the doomed resurgence in 1931. What of Henry George? Has the time arrived for another resurgence? Why is there grinding poverty when progress keeps producing new undreamed of wealth? This question still remains, yet covered by the every-day acceptance of the status quo. With his book Progress and Poverty Henry George unlocked the key of nature, but his insight was, and is ignored, and seen as out of date. Nature, though, cannot be gainsaid, for natural law is never out of date. (1)	Randolph S Churchill – Winston S. Churchill	– Young Statesman Volume II p.325 Heinemann: London. (2)	Sir Robert Ensor – England 1870 – 1914 p.414 Oxford at the Clarendon Press. (3)	Geoffery Lee – The People’s Budget – An Edwardian Tragedy p.70/71. Shepheard-Walwyn 2008. (5)	Rt. Hon. Josiah	C.	W edgwood	D.S.O. M.P .,	Memoirs	of	A	Fighting Life p. 64/65 Hutchinson 1940. (6)	Winston S. Churchill – The Second World War Vol 1 The Gathering Storm p. 532. The Reprint Society, London. (7)	Violet Bonham Carter – Winston Churchill As I Knew Him p.135 Eyre & Spottiswoode and Collins 1965. 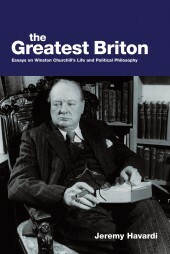 (10)	Winston Churchill As I Knew Him – ibid p236. (11)	The People’s Rights ibid	p.117. (12)	Hansard, 16th August 1945 col 91. (13)	The Rt. Hon. Winston S. Churchill C.H., M.P. Great Contemporaries Thornton Butterworth Ltd London 1937. (14)	Major-General Sir C.E. Callwell	Field-Marshall Sir Henry Wilson His life and Diaries Vol II p149. Cassell & Company, Ltd. 1927.